1. Marinate the chicken pieces in the marinade for 2 hours. 3. Saute the cumin seeds till they start to crackle. 4. Add the marinated chicken with the marinade. 5. Stir and add the tomatoes and salt. 6. Cook till chicken becomes tender and the gravy starts to thicken. 7. Add the food colour and stir to mix well. Note: image is for illustration purposes only and may not be of the actual recipe. 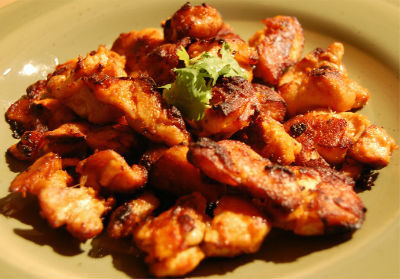 Feel free to comment or share your thoughts on this Adraki Murg Recipe from Awesome Cuisine.